The grown-up hatch for the 30 year-old kid? 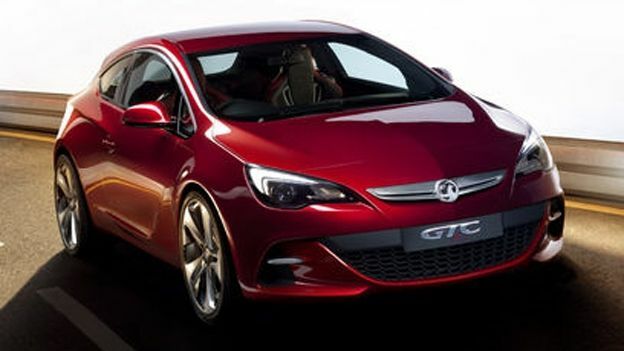 The Astra GTC is Vauxhall's first entry into the recent trend of creating 3-door coupes with a difference. Essentially the car company takes a well established 3 or 5-door car, squashes it, packs it full of tech and then adds some serious design tweaks. To look at, the GTC is unmistakeably an Astra, much in the same way that the Scirroco is very much based on a Golf, however see it in person and you'll quickly realise that the name is essentially where the similarities end. The model we were driving was the 1.7CDTi Turbo giving you a respectable 0-60 in 10secs. Although the most respectable of the range it came with the VXR body kit giving it added muscle in the wheel arches, a rear spoiler and the feeling that if a car could, it would snarl at anything that walked past. The GTC is extremely well kitted out for even the most avid of tech fans offering a saloon-level of comfort in a 3-door coupe. First up is the £855 Navi 600 system which offers full SatNav and audio through the dashmounted controls. For that money you also get a 7-speaker system offering up 20 watts each along with CD, Radio, Live Traffic and the USB connection with full media access to your iPhone or iPad. Everything is accessible through the central control dial which lets you enter postcodes or full adresses. In our short time with the GTC we found it surprisingly efficient with live traffic updates keeping us fully abreast of just how awful our journey back to London was going to be. This did however mean we were left pining for the TomTom system found in the VXR Nurbergring which, although flawed, did offer us a number of solutions to the London gridlock. Cruise-control is all present and correct as are heated seats for the front two passengers and full climate control offering you a hugely varying number of ways to either freeze or melt your passengers. Full DAB radio comes as standard. Elsewhere there's a USB socket which is compatible with the iPhone 5 and the Lightning connector - no software updates needed - meaning you can easily browse through music, podcasts and the rest all through the media system. Front and rear parking sensors are also available and surprisingly necessary as this is by no means a small car. Often was the time we found ourselves relying heavily on them when pulling into a crowded car park as the GTC is deceptively wide. The 1.7CDTi is the middle of the range diesel option for the GTC and frankly it felt more than enough. Rather than looking for the obnoxious sound of a loud petrol engine the 1.7CDTi offered up a low rumbling wall of acceleration. While it suffered at some points in the lower gears the car actually felt ideally suited to long journeys with the engine giving you a reassuring level of acceleration especially in the higher range making it perfect for weaving your way through motorway traffic. Hit the country lanes and you've got what feels like a very heavy car that handles somewhere inbetween a saloon and the conventional Astra so while there's very little drama it still feels surprisingly pleasant to drive thanks to the strong grunt you're given past second gear. This really does feel like the car for those in a crisis. You long for the days of your youth when you'd whizz around in a car that looked like a polished tin can but you're pushing 30 and you're thinking that perhaps you should be buying a diesel soon. The GTC answers both of these questions admirably by giving you a large range of engines, an actually very pretty car and some saloon-level options. Topped off with the fact it looks like an Astra thats just consumed 3 gallons of protein shakes and you're left with a very desirable alternative to the saloon.